You must make reservations at least 5 minutes in advance of the time at Cava Mezze - Baltimore. Between S. Central Ave. and S. Eden St.
We have street parking, and a public lot located at Fleet and Eden. info@eatcava.com We take large groups! 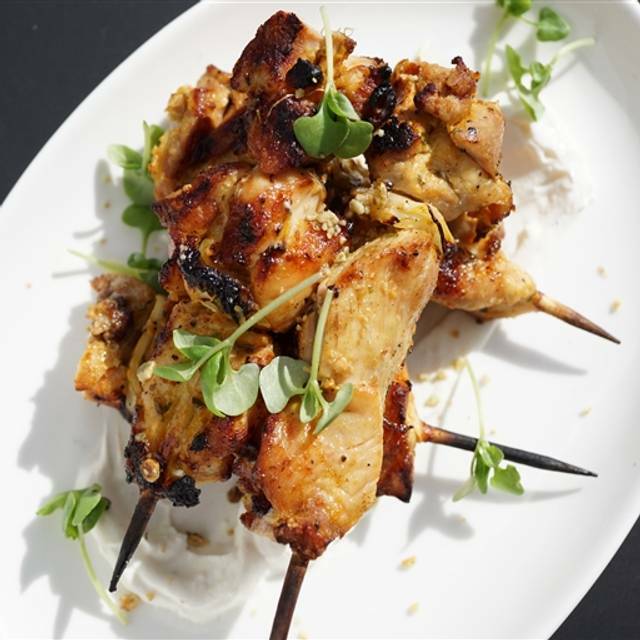 Your neighborhood Mediterranean hangout, dedicated to shared plates and culinary excellence! We had a great evening, everything that we ordered was delicious and the service was courteous and prompt. I went to Brunch with my girlfriend on Saturday at 1:30pm. We chose the bottomless brunch. The food wasn’t as good as the last few time I was here. The server was great. She constantly checked on us, took our orders and made sure our glasses were filled with Mimosas. 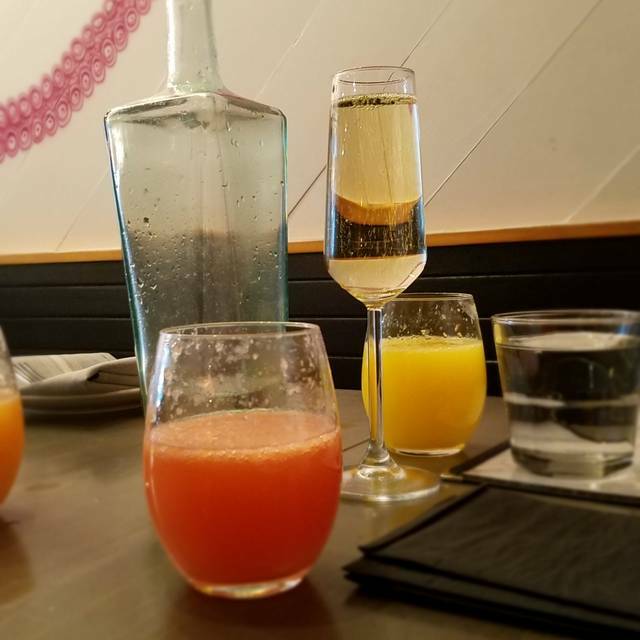 It was great to see that they had an additional variety of mimosas (cranberry). The eggs with the lamb Benedict were over cooked. The steak and eggs consisted of just too tiny pieces of steak and an undercooked sunny side up egg....almost raw. I am wondering if it was because the cooks were already exhausted by the time we got there at 1:30pm. Nevertheless, they do run Brunch until 3:30pm. The AC was almost non-working. All in all it wasn’t the best experience I’ve had there. Hopefully the next will be better. If you don’t choose to do the bottomless brunch, it’s not worth it to go here. 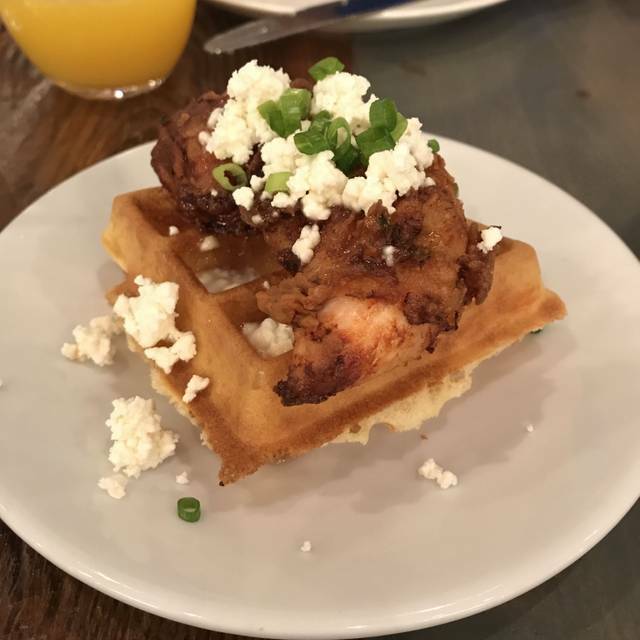 Keep in mind, everyone at the table must agree to pay the bottomless brunch price for you to get it. The portion sizes outside of bottomless are the smallest I’ve ever seen. The food is very tasty though. Simply amazing!!! 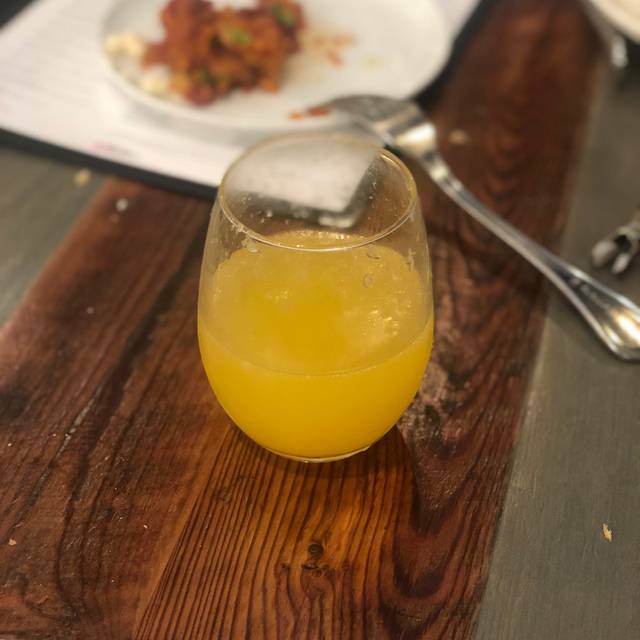 The bottomless brunch will blow your minds and at 35 a piece it is truly steal! They could easily charge 45 a piece and they still would be packed!!! Absolute must try for all!!! 6 stars!!!! Food was fantastic and the waiter was very helpful in guiding food choices for our group. We particularly enjoyed the flaming cheese, the moussaka, and the pita and dips. We also really enjoyed the cocktails! Went to dinner with 6 friends for my birthday. Everything was great, until we got our check. The bar tender overheard that it was my birthday and a few minutes later, made us green tea shots which we DID NOT order. The waitress brought them over and all of us were excited, thinking they were on the house. The bartender never asked for our order or told us they were not complimentary. The same happened with a dessert that our waiter brought over. Well, when it came time to pay, both the dessert and shots were on the bill at full price. We did not ask for any of it. I would have been perfectly happy with a card, rather than having everyone pay extra for shots they wouldn’t have ordered otherwise. When we mentioned these add ons the waiter just nodded and walked away. They also wouldn’t split our check because our waiter “couldn’t remember what we ordered”.. each of us only got one dish and maybe a drink, so it didn’t seem that hard. Food was good and so were the drinks.. just had a problem with the service. I picked this restaurant to have dinner with my son on a visit to Baltimore as I wanted a real tapas experience. We ordered several small plates and everyone one of them were DELICIOUS!!! The white Sangria was great as well! Our watress was the best! Always have a great experience at Cava. It’s my favorite brunch spot. I’ve been to Cava plenty of times for brunch. I practically live there. I hype the place up all the time to my friends, in hopes that they get a great experience like I’ve had in the past. Well, this past Saturday (3/30), that didn’t happen. It all started with our waiter seem like he didn’t even want to be there. I don’t even think we got his name. There were several food items we didn’t get, after requesting more than once. We barely had any mimosas. I could say so much more, but I’m getting annoyed all over again just typing this. My friends literally left saying that we may have to find a new brunch spot. I’m mortified because I love Cava! We celebrated my friends 24th birthday. It was her first time there, and she absolutely loved it. The service, food, and experience were great. The food is consistently yummy. 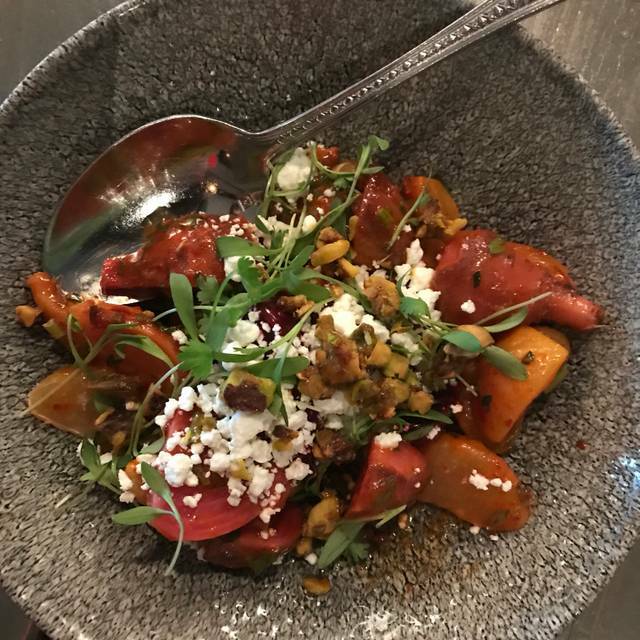 The chick pea hash is one of my favorite small plates. There’s so much food, it’s a challenge to get everything on the menu. Great price and awesome mimosas. The ginger mimosa is rare and delicious. We went for an early meal, and the waitress was super helpful explaining how to order, and what she liked. We ordered a variety of plates, shared them, loved all of them, but really fell in love with Opa Opa Shrimp. The French toast dessert was great as well, not too sweet, definitely was able to share with three people easily. We will go back. it was yummy. overall great experience. the only negative was that I made reservations for high seating and we didn't get high seating. either way, id still give 5 stars. AMAZING cocktails...delicious and complex. The meats are grilled to perfection and served at the perfect temperature. Perfect. Perfect. I cannot say perfect enough. My husband and I decided to go back to Greece without our children while dining here. Eating at Cava Mezze leads to good decision making. Go there right now. Unless they are closed. If they are closed, wait until they open. Then go there. We came for the vegan menu and were not disappointed. We had an amazing time celebrating our anniversary at Cava. The service was swift and the food was amazing. You get a great deal for the price. Will be back again soon. I love Cava Mezze. This was my first time visiting the Baltimore location, and the service was great as usual. My server was Isamar. She was amazing! She was very tentative and kept suggesting things we should try. I loved it. $35 for unlimited tapas is the best money I ever could spend. All of the food was great. 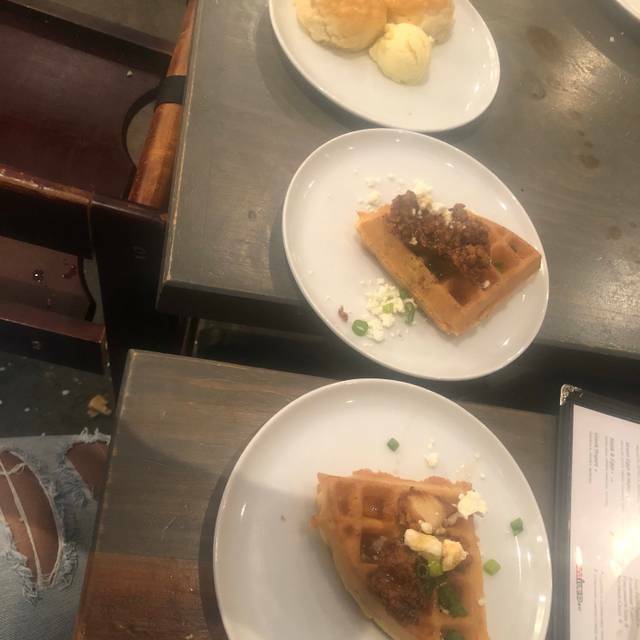 My favorite food items were the French toast, biscuit & honey butter, cava home fries, bacon, Nutella waffle, and steak and eggs. Love this place. I will definitely be back soon. Excellent experience. I went there twice with friends and colleagues. Food is delicious and service is great. Christian is a wonderful waiter there. The presentation of the food as well as portions were ridiculous for the pricing per small plate. It made sense to pay for the all you can eat brunch but you could tell that this is a place for quantity and not quality. Even the servers would just bring in the plates without truly giving value of what was being served. They would even take some of the plates without asking once they saw that most of it was gone!! I had come in at the bar beforehand and ordered from the regular menu. I guess I had higher expectations for the brunch setting and it wasn’t met :(. I might consider coming in for other items in the future and never back again for brunch. my guest and I Always have a great time here at cava Baltimore the staff are welcoming, the food is great & the atmosphere seals the deal! Was here for Sunday Brunch. First impression was loud and service prompt. Delivery of service was an issue. First cup of coffee was cold had to ask for another. Mimosas were late in getting to the table and refills slow to come. Unfortunately, we had a pretty poor experience this time, with over half of our bottomless orders not ever coming out, despite repeated requests. Apparently, there was a computer malfunction that caused them to lose orders, but no one notified us of this, nor asked if we received everything and we were notifying the multiple servers who came around to no avail. Our original server (who we hadn't seen in a while), came around to tell us our two hours was nearing, "if we wanted to order one last drink" which I thought was pretty nervy given the state of our food. A little flexibility given the service issues should've been a no brainer. Had a wonderful time at Cava Mezze as always. The wait staff was very accommodating and friendly. This is hands down my favorite brunch place. Great spot in Baltimore, fabulous food and great service !! Always a good time!!! Great food, great service!!! Why not!!! Went for the brunch and loved every second of it! Get the biscuits! You won’t be disappointed! Our server and the staff was very attentive. 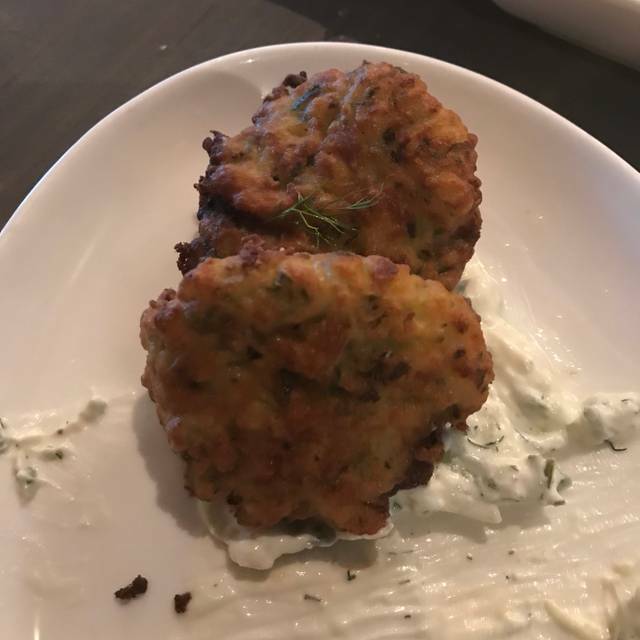 I went to Cava Mezze for dinner on a Sunday evening after previously only having been for brunch. Definitely two different atmospheres, but neither disappointed for food or service. It is an excellent place to eat. Each dish is better than the next. The service was beyond on point. Attentive waiters and managers visited our table at the perfect amount of points throughout the evening (not overbearing yet always there just before we’d need something). While we were there a patron was having a moment where she may have overindulged on beverages if you catch my drift (we’ve all been there at some point). We didn’t complain or anything but the manager still gave us a gift card for the next time we come (which we definitely will) for being patient with what was going on. I thought that was such a classy response especially when it was for something they couldn’t really control/wasn’t their fault. Highly recommended! The food was good. However, service uses a disjointed team approach with very poor pacing which really ruined it. Rushed approach with team of servers piling various tapas in any order on the table whenever they are ready. Many didn’t even know which food or drinks were ours. My second drink and additional pita bread finally came when I was nearly finished. Should be a leisurely food and drink experience when dining Mediterranean tapas style. Instead they do their best to move you out in under an hour. I mentioned our concerns but no one seemed to really care and there was no manager to be seen. The restaurant had done a promotional cooking demonstration at our apartment building and we were very eager to try it. As mentioned, the food was generally very good but the service had a “chain restaurant” feel to it which really ruined the experience. They seem to want to turn over the tables quickly and they are not subtle about it. Sadly, we won’t be back. I visited this restaurant in the summer and thought it was fantastic. I was disappointed this time. The menu appears to have changed and the portions were very small. The prices are too high for what you get. The food was just ok this time around. Great place! Love the shared plates! Gives you lots of options. Fun place for groups. The food as always did not disappoint. 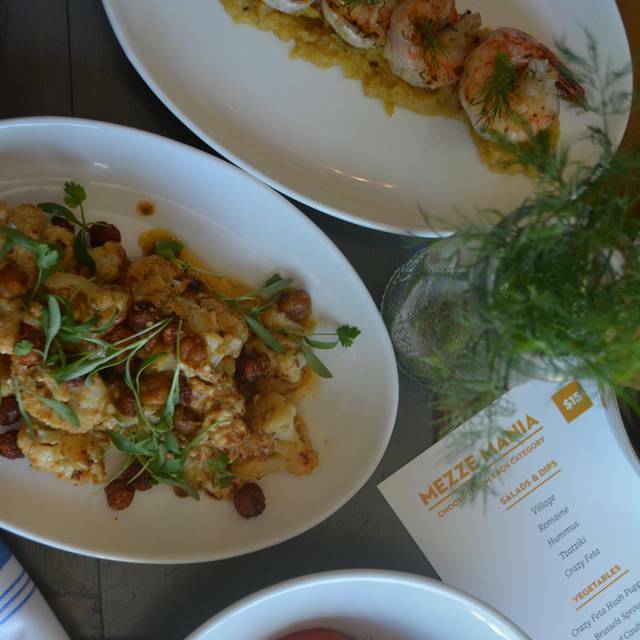 We love Cava Mezze and enjoyed the opportunity to go there with friends from NY. They were very impressed with the food, service, and ambiance. The pita was delicious and I truly enjoyed the chicken lollipops, the Tzatziki, and the salad. I remember that others ordered the spicy lamb sliders, a shrimp dish, and the Branzino. Really fast service. My husband and I each ordered a different beer which they were out of but we we were able to enjoy a different brew. Food was great! Casa Mezze has delicious food! I was slightly disappointed by the prices. 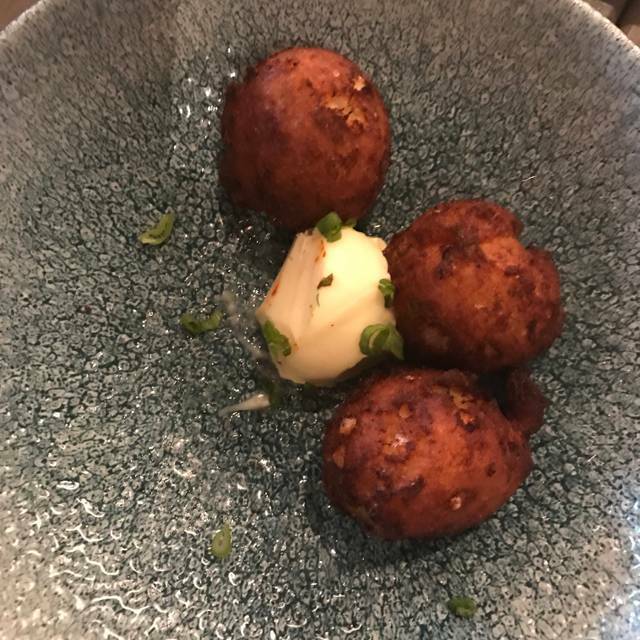 Our server described the plates as being between tapas and regular sized entrees and to plan on getting 1-2 plates per person. After eating, I was still hungry. I’d say you need at least 3 plates for it to feel like a meal. Be prepared to spend $35+ per person.